Pest Control Houston | Stuarts Pest Control Inc.
Q: What can I do to prepare for and improve your service? Pest control measures can be taken by you prior to our visit to your home or business. As a research tool, we recommend the buginfo.com website. 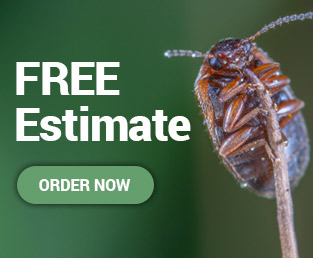 The information there is designed to help homeowners research specific pest problems. Deny them food by storing pet food in rodent proof containers. Manage bird feeders so rodents can’t get the bird food. Deny them cover with proper landscaping, deck design, and maintenance. Deny rodents access to your home by sealing the more common access points such as AC line access, utility hookups, gable and eave vents, rotted facia and siding. A well maintained home with a properly working AC is less likely to have pest problems. Minimize clutter, make sure landscaped areas drain properly. Repair leaks and moisture problems as soon as possible. Make sure drainage measures are working properly. Proper ventilation of crawl spaces can minimizes termites and their damage. Dispose of any grain products that appear to have weevils or moths. Purchase grain products in small quantities so they are consumed before weevils develop. Over watered potted plants should be allowed to dry out or removed. Close/seal drains to eliminate them as a possible source. Fresh flowers that are kept too long should be disposed. Reduce night lights on exterior with motion sensors. Keep pets on systemic flea medicine recommended by your vet. vacuum carpets and clean hard floors often. Dry clean garments before storing them in sealed containers. Hanging items can be protected by leaving them covered in the dry cleaners bag, and spacing them. Verify that new items are made with moth proof dye before purchase. Have furs and leather goods moth proofed by a reputable company. Always vacuum closets and storage bins, and double check for any holes or tears in garments before storing. Modern pesticides are developed with safety to the environment and man as a primary concern and are often safer and more effective than a lot of so called natural cures for pest control. In most cases we are called to eliminate pests that are invasive and harmful to the environment. Rats, roaches, bedbugs, fleas to name a few.